First album released in 2015! 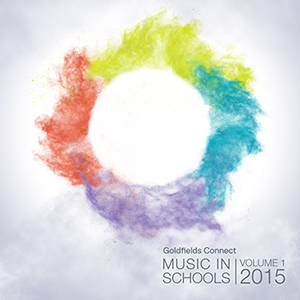 The Goldfields Connect – Music in Schools program connects local secondary school students who compose, perform and record music, helping them to share the music they produce both online and in person. The program aims to create an annual online album, showcasing students’ music performances to the community online as part of the Goldfields Libraries eLibrary. There are also opportunities for live performances in our libraries for the community to enjoy. Goldfields Libraries would like to thank Castlemaine Secondary School music teacher Christine Sass for sharing her vision of connecting secondary school students through music online. 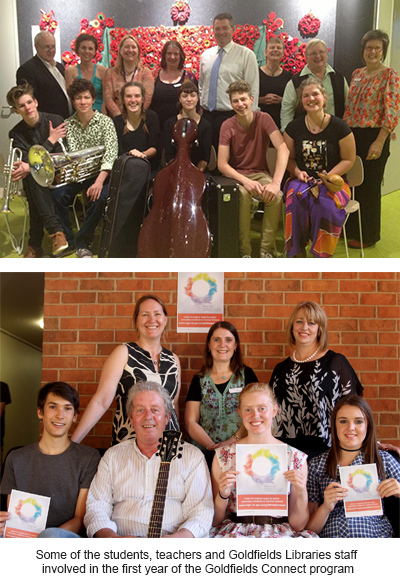 Christine has worked collaboratively with Goldfields Libraries to develop the Goldfields Connect – Music in Schools program as part of her studies at the University of South Australia. Stay tuned for further information on the program coming up in the near future.